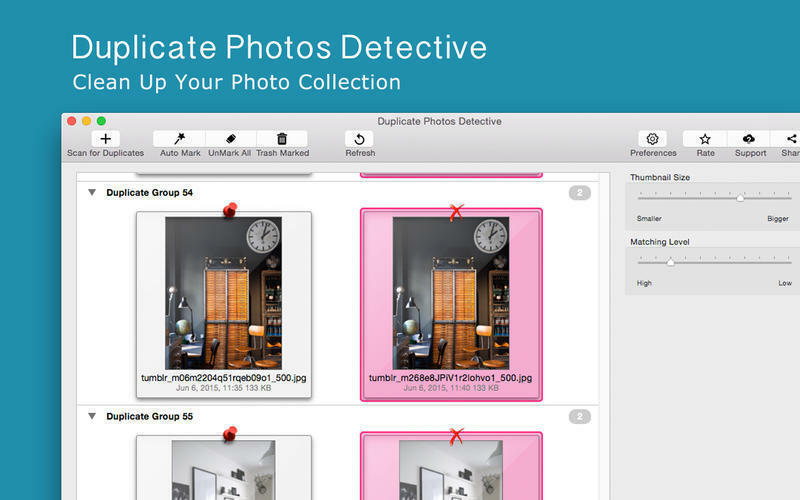 Is there a better alternative to Duplicate Photos Detective? 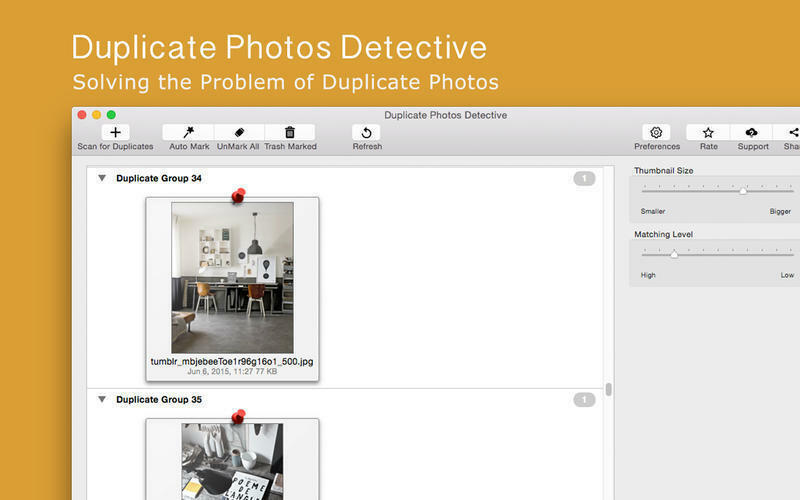 Is Duplicate Photos Detective really the best app in File Management category? Will Duplicate Photos Detective work good on macOS 10.13.4? 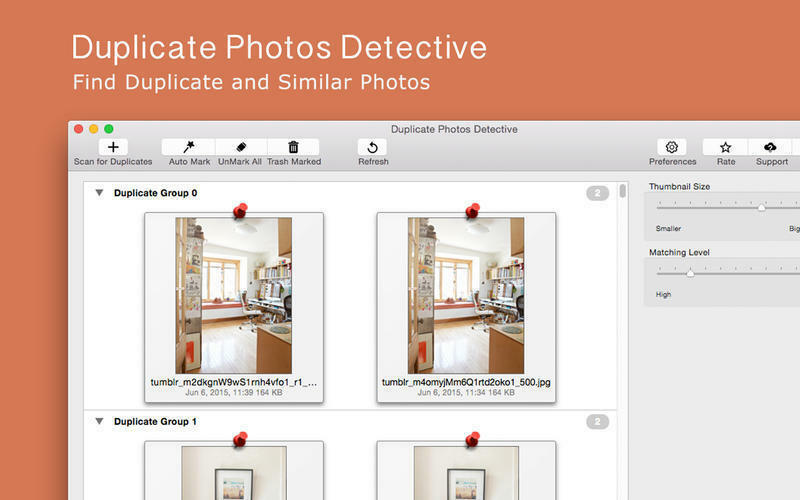 Duplicate Photos Detective helps you quickly search your Mac for duplicate images, so you can remove them. It is a superb tool that helps users to locate duplicate photos and remove it from the Mac. This app simplifies the process of identification and deletion of duplicate photos. The Duplicate Photos Detective has an attractive interface which is quite simple to use and comprehend. Duplicate Photos Detective needs a review. Be the first to review this app and get the discussion started! Duplicate Photos Detective needs a rating. Be the first to rate this app and get the discussion started! By clicking the "Scan" button, this app begins to scan the hard drive and display the results as groups. The Duplicate Photos Detective supports different image types such as GIF, JPG, PNG and BMP. However, the app allows users to delete the duplicate files one at a time rather than in batches. It is quite easy to use and it features simple applications and adjustment options. Users can select complete scan option or choose options to scan specific folders. The level of similarity and the size of the images can also be changed with the use of this app. User can delete the duplicate photos with the use of this app.